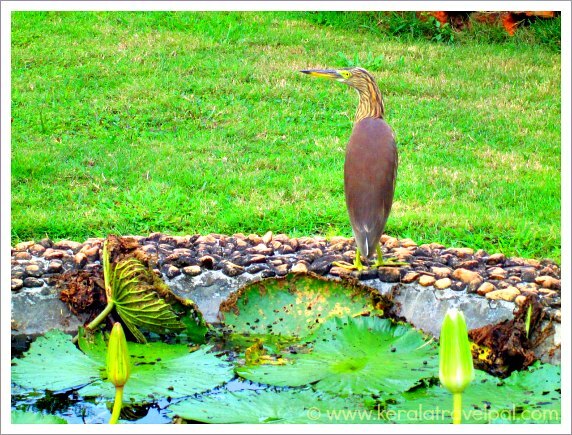 The major bird sanctuaries in Kerala are Thattekkad, Kumarakom and Kadalundi. Pathiramanal, Pakshipathalam, Kuruva Island, Sholayar basin, Mangalavanam are some other notable bird habitats. 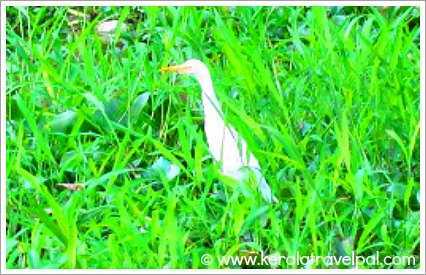 Kerala being lush green all over, there are several pockets where birds thrive.That means there are many excellent bird watching locations other than officially declared bird sanctuaries. Salim Ali Bird Sanctuary at Thattekad (also Thattekkad) is one of the best bird havens in India. The woods and wetlands are home to hundreds of types of birds. Thattekad is also home away from home for migratory birds arriving here from the Himalayas and so on. Migratory birds arrive here from November to February. Bird watchers are keen to visit Thattekkad during that period. However, there is no need to tie up with a fixed schedule, if it is hard. There are plenty of birds year round, so you can visit any time. Avoid days of heavy rain because it is just going to be waste of time. Ceylon Frogmouth, Rose billed Roller, Malabar trogons are just a few of the rare species seen here. Renowned ornithologists Dr.Salim Ali and Dr.Sugathan have reported hundreds of types of birds. Bombay Natural History Society did their study and identified over 250 species. Many are endangered while many are found only in this part of the world. Accommodation within the sanctuary is limited, so you need to book in advance, if that is the choice. Home stays as well as resorts are available too. Nearby towns such as Kothamangalam and Muvattupuzha also have hotels and lodges. You will need more than a day to get the best out of your trip. If birds fascinate you, keep aside more time. 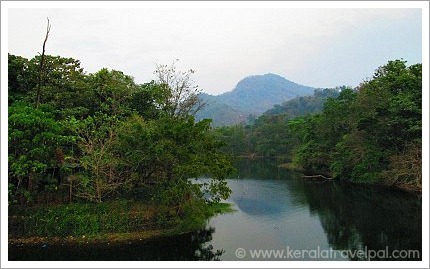 Thattekad, in Eranakulam district, is near the hills of Western Ghats. Munnar and several other travel attractions are part of these hills. Vast backwaters put Kumarakom on the tourism map. The village identity of this backwater paradise has always been comforting, no matter where you came from. Vembanad Lake spreading like an ocean is a star attraction. Embark on a boat trip and soon you will discover that you have reached a bird haven. 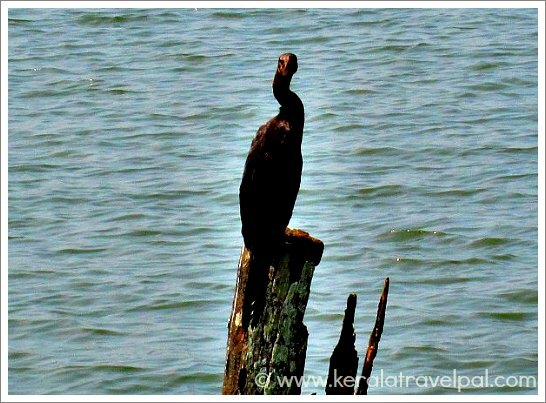 Kumarakom Bird Sanctuary is on the banks of Vembanad Lake. The land area is only 14 acres does not minimise its significance since birds flock the neighbouring lush lands, mangroves and the vast lake. The best way to see birds is to take a backwater tour. Not to be missed are the tiny canals running through the sanctuary. If you want to follow the bird watch trails on land, mornings are the best. Birds such as Kingfishers, Cuckoos, Fowls and Herons are commonly seen. The migratory season is winter (Nov – Feb). Himalayan larks and Siberian storks arrive to settle here for a few months. Pathiramanal is a small island in the middle of Lake Vembanad. Even though Pathiramanal is not among the declared bird sanctuaries in Kerala, it status as an important bird habitat is undeniable. Pathiramanal is frequented by bird watchers. There are about 150 species found here. That includes both native and migratory birds. 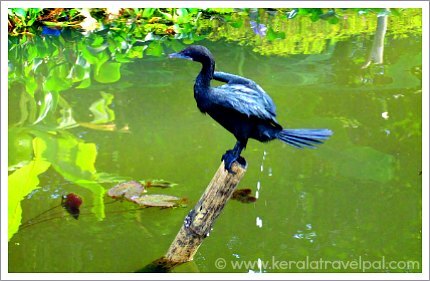 Kumarakom Bird Sanctuary is just across the lake. So the birds found in both places are similar. To reach the island, take a boat from either Muhamma or Kumarakom. It is located at Malappuram in North Kerala, near the estuary of Kadalundi River. About 150 species of birds have been reported here. The list includes Lesser sand plovers, Whimbrels, Gulls, Herons, Sand pipers and Terns. Siberian cranes are yearly visitors. They arrive in November and stay for about five months. Birds are not limited to Kadalundi. They flock the neighbouring leafy villages of Chaliyam and Beypore. There has been a dramatic decrease of birds in Kadalundi in the last few years. The real reason is not known. Reduction of trees, changes to local life style and related construction boom can have their impacts. Mangalavanam is right in the middle of Cochin City. About of 2.7 hectares of mangrove forest exist amid challenging environment. About 70 species of birds have so far been identified here. There are a couple of small mangrove forests near Cochin. One is at Kalamassery, near ICT Road. The other one is near Puthu Vypin LNG Terminal. Both these places are home to a variety of birds. Western Ghats mountains in general has good population of birds. That is where Kerala’s wildlife sanctuaries are located. It is usual to come across a variety of birds during wildlife sanctuary tours. Idukki, Wayanad, Nilambur and Sholayar basin in general are great bird habitats.